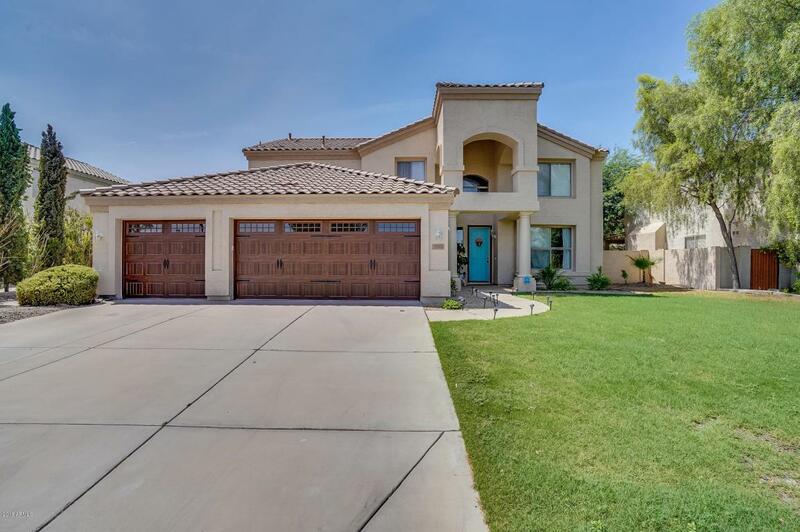 Stunning 5 bedroom, 3 bathroom, 3 car garage home in very desirable Gilbert area! 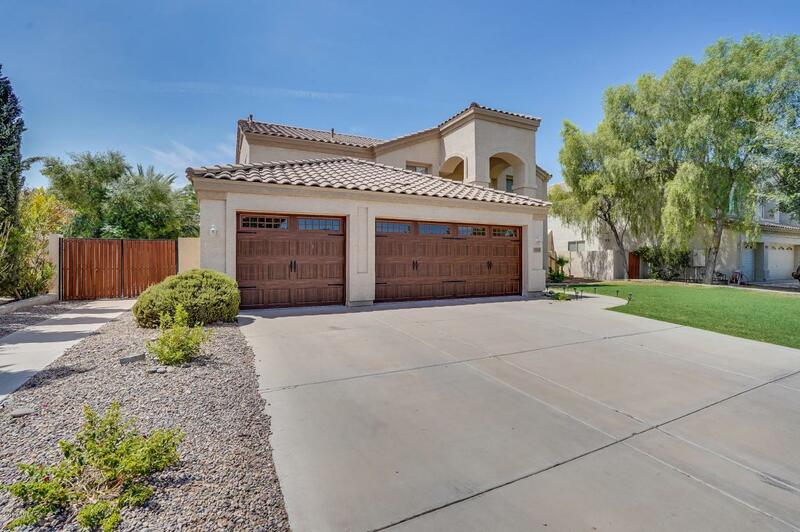 Tons of curb appeal thanks to new front and backyard landscaping, new high end garage doors and beautiful elevation! Property faces a greenbelt! Fresh grey interior paint (2017) and new wood look tile flooring upstairs and down. New carpet in 2017! 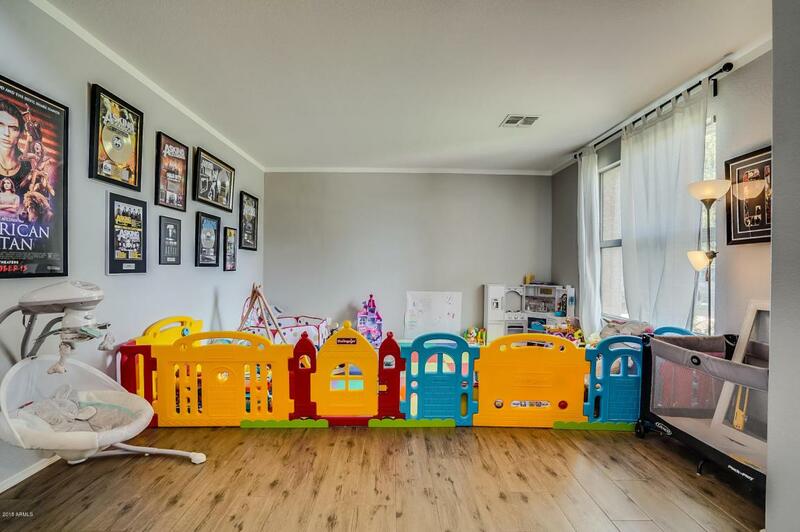 Spacious living and family rooms with formal dining room! Downstairs bedroom for your guests! Refinished white cabinets, stainless steel appliances, granite counter tops with kitchen island and bar seating! 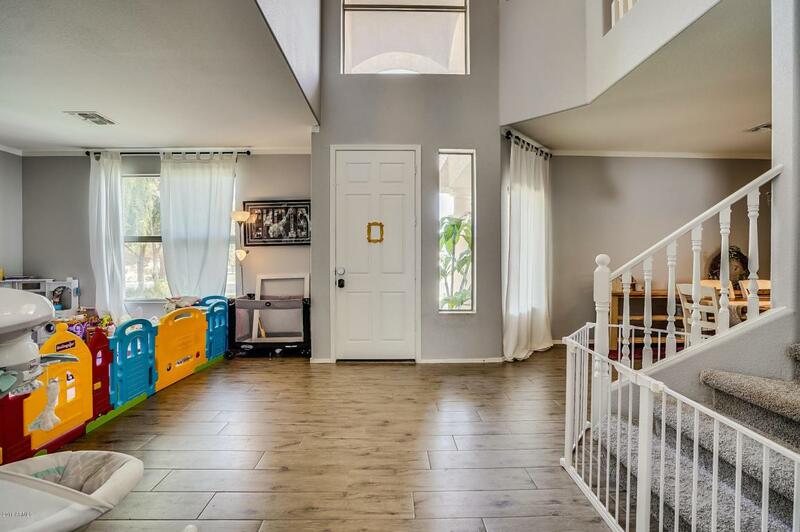 Huge master bedroom and master bath has been fully remodeled with subway tile shower and tub skirt, frameless glass, two sinks, and big walk-in closet! Teenage sized bedrooms! Nice loft! Soft water and RV gate! New AC unit in 2017! This one won't last! !